**Auction #4, Round 2** Incredible investment opportunity up for bid this month. 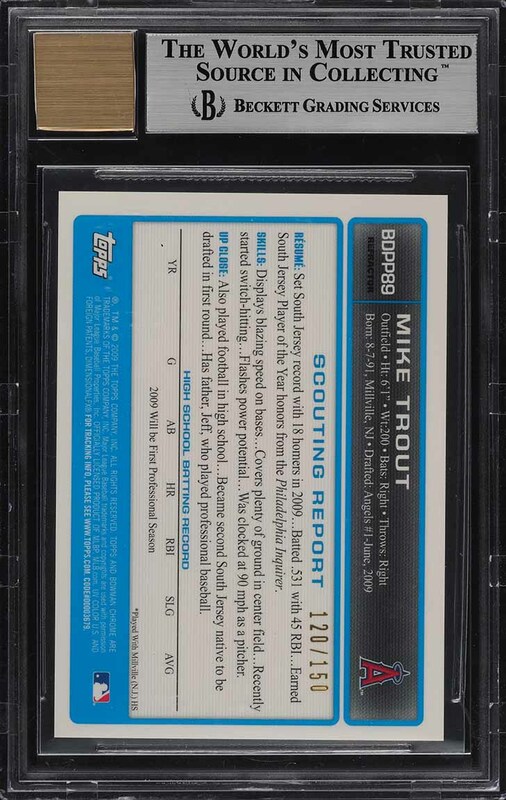 The '09 Bowman Chrome Blue Refractor has always been among Trout's most important rookie cards and is highly sought after among investors. After nearly 10 years since the products release, it's hard to believe that this card is so well preserved and retains mesmerizing eye appeal throughout. The card possesses four keen corners with crisp edges and thick card stock. The surfaces are superb with zero refractor lines, scuffs or indents present. Shows clear imagery with elegant color and tremendous registration. 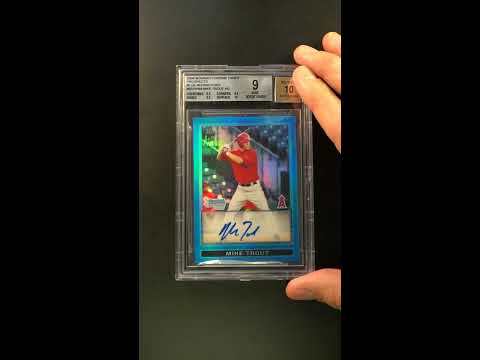 A modest centering shift is the only 'flaw' that keeps this from grading higher. In addition, the card possesses a breathtaking pristine autograph which has been beautifully struck in blue ink. With only 150 copies ever made, it's easy for us to state that the supply will never satisfy the demand. There are very few players who's brands have such an impact on modern day culture and continue to receive praise year after year by the mainstream media. 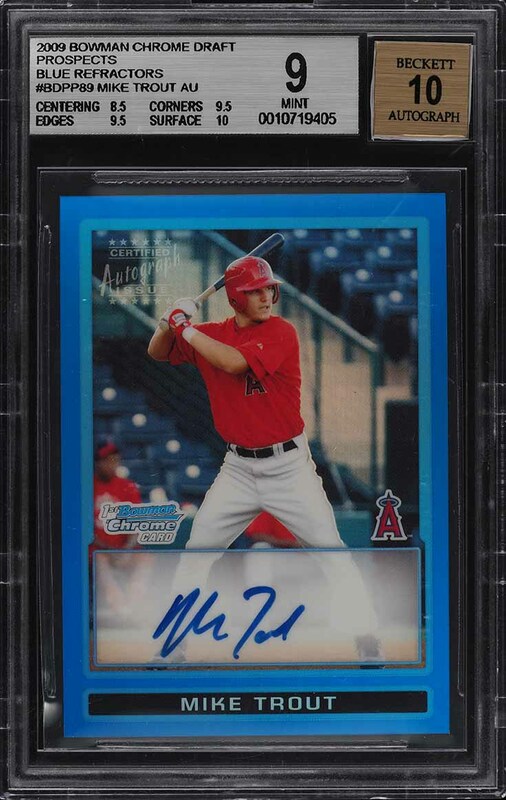 In the likely scenery that Trout continues to be the best talent in the MLB, it'll be cards like this that will continue to soar and bring a fantastic ROI. We are extremely excited to offer this modern day beauty to the investment community, free of reserve. Don't miss it. One of nearly 15,000 cards, lots, and sets up for bid in our 4th Auction of 2019. Click on the link above to view the other PWCC auction lots. The PWCC Vault is now live! Open a PWCC Vault account and receive a custom Vault shipping address. Purchases shipped to the Vault receive free shipping and reflect Oregon's 0% sales tax rate.